Not too much to say about these. 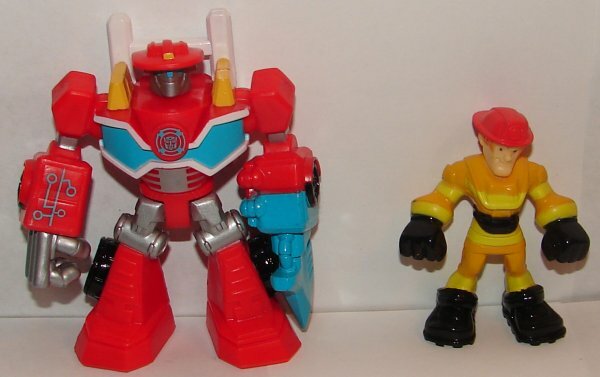 They are all much more true to their animation models than the transforming toys are. I love the Optimus Prime and Bumblebee. 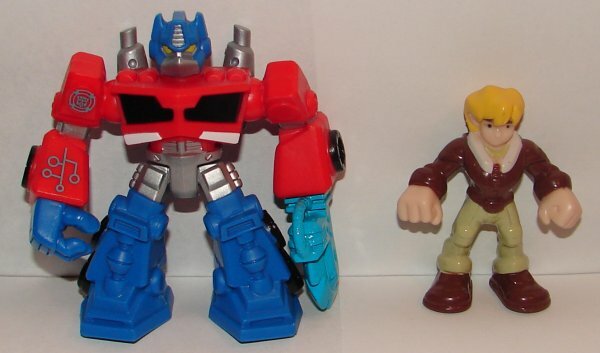 The Optimus looks a lot like G1 Prime. 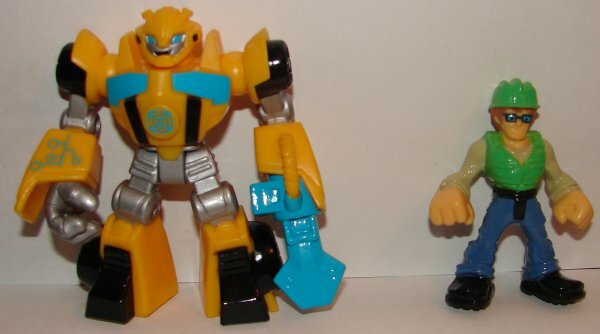 The transforming Bumblebee isn’t very good, but I really like the look of this one. 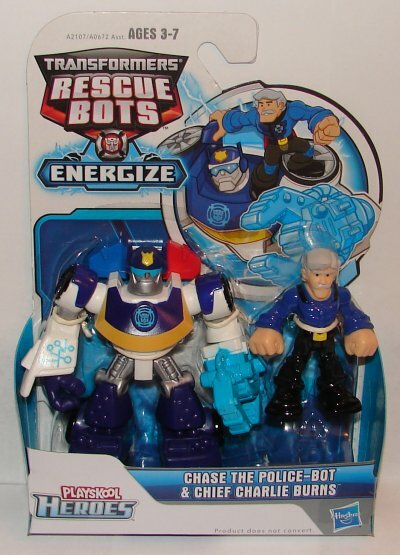 My only complaint about the robots is that these are based on the “Energize” models for the toys. I would have liked to have non-Energize versions without the blue weapons. 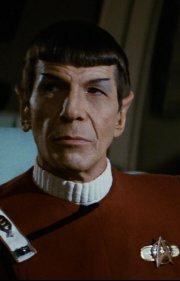 Perhaps if the show goes to a third season we’ll see that. I’m really unhappy with the human figures. They are great likenesses of the animation, (although Cody should be shorter) but they have no articulation at all. 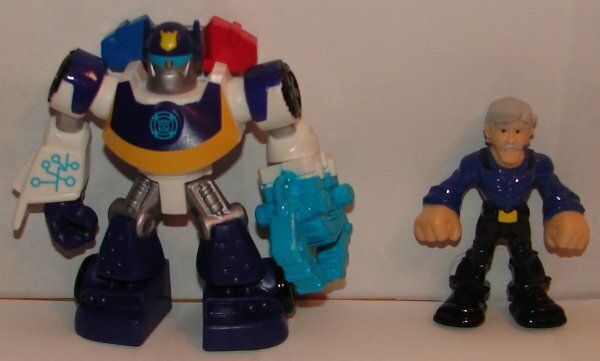 The original figures that came out as part of the Rescue Bots line that were not based on characters from the show were articulated at the shoulders, hips, and I believe a the neck as well, though I’m 100% sure on that one. I just don’t understand how they couldn’t have done these with articulation even the minimal articulation of the original figures would have been nice on these. I’m not a fan of too much articulation in transforming toys because they will often not stand up very well, but with figures like this, a little articulation would be nice. 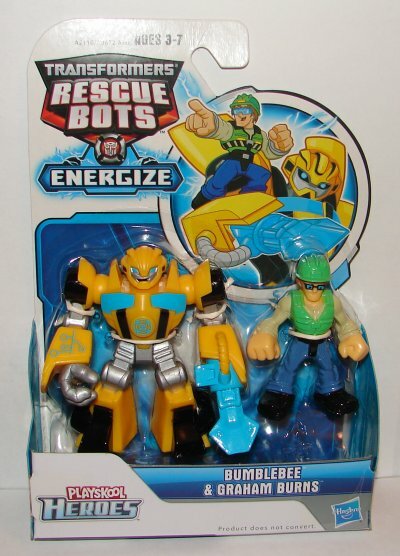 Lastly, I am really confused by the inclusion of Graham Burns with Bumblebee. They could have easily done the mayor, or the scientist, or the scientist’s daughter. I assume they are going to do Boulder later this year. I recall it mentioned that there would be a figure for the sister coming later in the year, so I assume she’ll come with Blades. 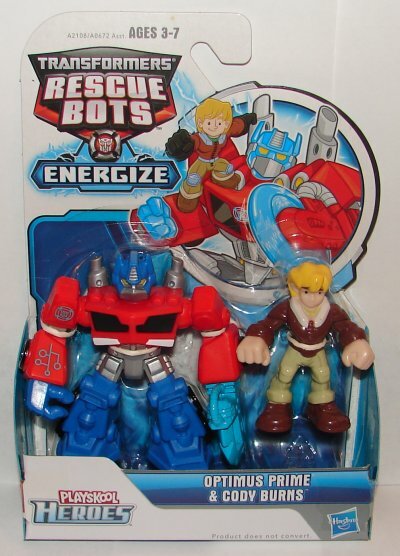 It would have made more sense to wait and include Graham with Boulder, but then Hasbro has never been much for doing what makes sense. 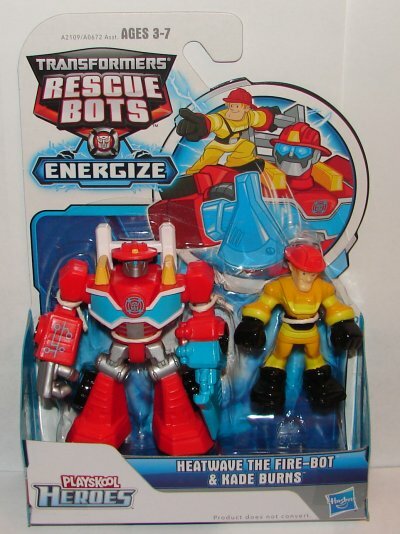 This entry was posted in Toy Reviews, Toys, Transformers and tagged 2-Packs, Bumblebee, Charlie Burns, Chase, Chief Burns, Chief Charlie Burns, Cody, Cody Burns, Energize, Energize Bumblebee, Energize Chase, Energize Heatwave, Energize Optimus Prime, Graham, Graham Burns, Heatwave, Kade, Kade Burns, Non-Transforming, Optimus Prime, Rescue Bots, Toys, Transformers, Transformers Rescue Bots. Bookmark the permalink.